I have always been the question asker: I want to know who, what, when, where, why and how as I learn about a new topic. And this habit is what has led to my entrepreneurial work in college. The UNC Kenan-Flagler Center for Entrepreneurial Studies Adams Apprenticeship has been exposing me to the idea that not all people follow defined paths for their careers. Rather, they let conversations, happenstance interactions and questions lead them to opportunity. Local interactions with my Adams’ coach and mentors has affirmed this, but going on the San Francisco trek in April 2018 continued to verify that I do not have to have a defined path for the next 20 years. Becoming secure with career insecurities has been difficult, but curating many different experiences of entrepreneurs and intrapreneurs in various companies and industries let me see you can have an entrepreneurial mindset for life. Hearing mentors’ stories showed me that your role in a company, the size of the company and what industry you specialize in are all subject to change. On the San Francisco Trek, we visited many medium-sized companies. At Omada Health, a member of the VC team that funded the company, decided to also join their team and run its operations, leaving his funding track behind. This showed me that career paths are flexible, and you can change careers and even industries as your interests and goals adapt. 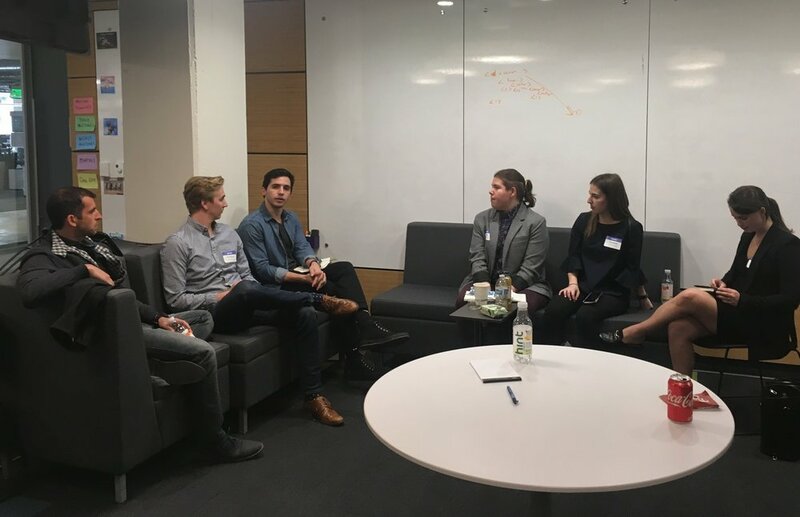 Former Adams Apprentice Kassra Homaifar (BS ’17) had Optimizely employees talk about changing their internal roles so they could grow and take on new challenges. At the clothing brand Chubbies, the founders spoke about breaking into the female fashion market and how this stage of growth presented completely different challenges than when they started out. The founders had to adapt their own skillsets or hire a team that could help them succeed at this next stage. I thrive on being able to learn from new experiences, so by not just seeing but also hearing what these entrepreneurs have done, shows me that I too can tackle new challenges and continue to ask questions throughout my life to find that next opportunity rather than planning every step.